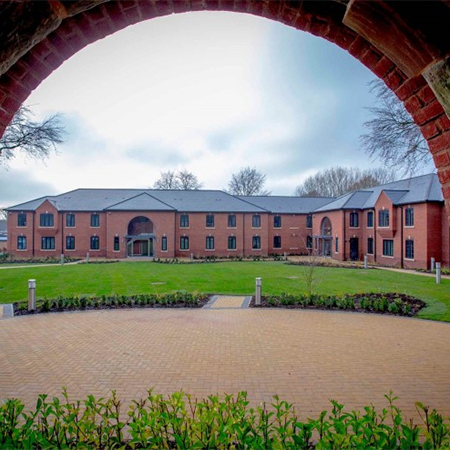 A £3m development of two residential blocks for boarders at Housman Hall School in Bromsgrove saw Klober Permo® air specified by Rowbotham Architects. The buildings each provide 49 en-suite study bedrooms and were designed in the local vernacular form. The central house at Housman Hall, formerly the home of poet AE Housman, is Grade II-listed and an important landmark which sits within the Bromsgrove Conservation Area. Permo air was chosen as it is approved by the NHBC for use without supporting high level ventilation. It has, therefore, enabled both long roof spans to be unaffected by vents within the roofline.